While pastels are revolting to a lot of my fellow dark clothes aficionados, I revel in a light monochromatic palette as much as I do its opposite. While powdery hues are often associated to girlie sweetness, I think that wearing them in cuts and shapes that are anything but spices things up once in a while. Like these oversized nautical bermudas and the sk8er grl slip-ons for starters. The colors of my outfit would usually scream butterflies and unicorns. However, my affinity for loose garments would beg to differ... and my tomboy nature would never telegraph such a thing anyway. 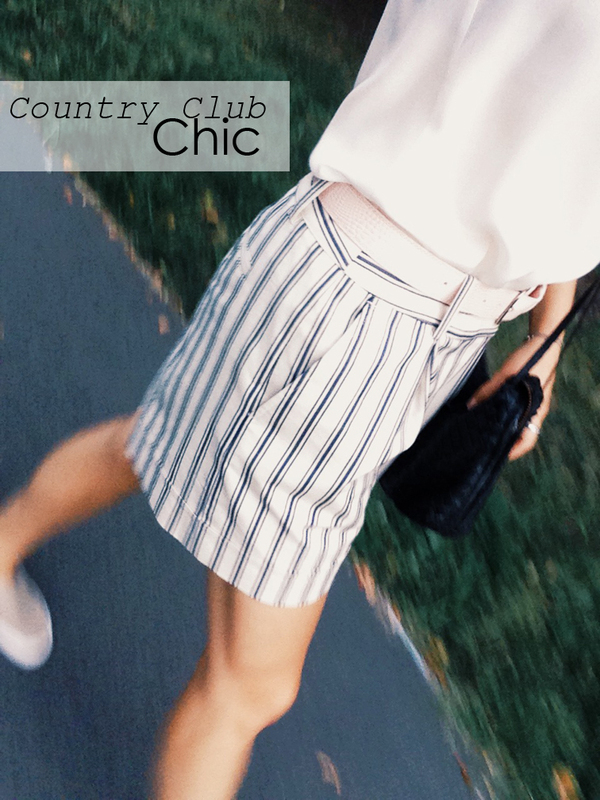 I felt like these elements borrowed a little something from the country club, but my mischievous attitude removes all of the properness this look might have had. Love your outfit!! You look so adorable! Helene, I love how chic and natural you look here! Those flats look comfy yet stylish! I love it!